Reyes Roofing Contractors, LLC is a top, certified roof contractor serving Leesburg, VA.
Reyes Roofing Contractors, LLC is a professional roofing repair and installation company based in Fairfax VA that has been serving Leesburg, VA and its surrounding communities since 1991. 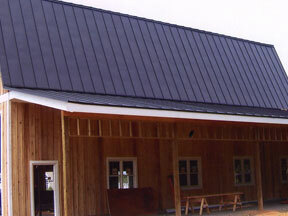 We have a great deal of certified experience in commercial and residential roofing projects. Each roof contractor who works on your residential or commercial property is a CertainTeed Certified Master Shingle Applicator. Reyes Roofing Contractors, LLC is a member of the National Roofing Contractors Association and the Virginia Association of Roofing Professionals, and is an A+ rated BBB accredited business. We expertly install a wide variety of commercial roofing systems including vinyl slate, TPO, synthetic shake, built-up, modified bitumen, single-ply, standing seam metal, EPDM, and torch roofs. For the residential customers, we install traditional shingles, architectural shingles, TPO system, EPDM system, standing seam metal, synthetic slate, cedar shake, synthetic shake, metal shingles, and specialty tile roofs such as slate and spanish tile. In addition to roofing projects, we also install skylights, siding, gutters, downspouts, attic insulation, concrete patios and driveways, chimney flue liners and cement rain caps, various ventilation systems and more! 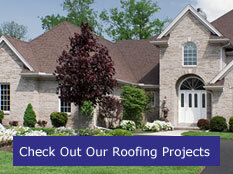 Contact us at Reyes Roofing Contractors, LLC with any of your Leesburg, VA roofing questions.